Calendar pages at top of backboard are accented by your choice of 4 x 6 photos displayed below. Shaded weekends so workweek stands out. Replace photos in clear pockets for seasonal theme or to give calendar a fresh look. Calendar pages at top of backboard are accented by your choice of 4 x 6 photos displayed below. Shaded weekends so workweek stands out. 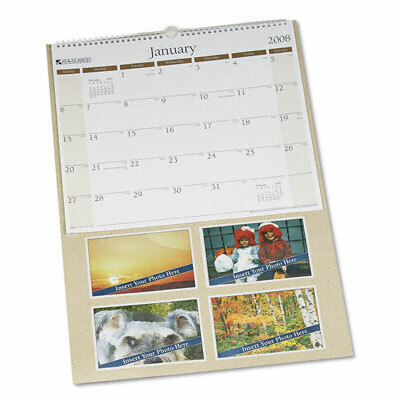 Replace photos in clear pockets for seasonal theme or to give calendar a fresh look.